Only 16 years old, Oscar Scherlin was handed the keys to a brand new car after winning the Red Bull Playstreets slopestyle contest this past weekend. With stomped switch 9's in all his runs he impressed the judges and earned his first international win. 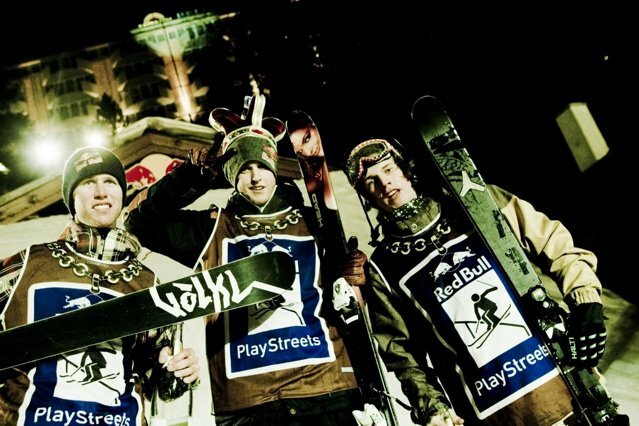 Thousands of spectators were standing packed&nbsp;alongside the event area in central Bad Gastein, Austria on February 16th to see the world's best newschool skiers fight for the Playstreets crown. Not a balcony around the area was empty. 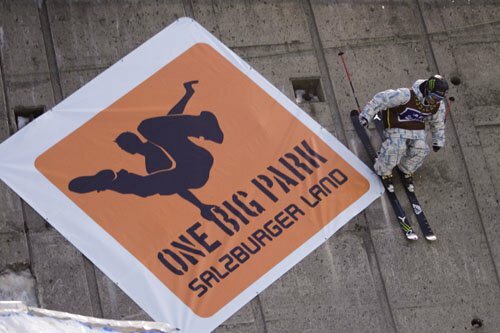 Scherlin, who's more of a big air specialist than a slopestyle expert,&nbsp;made it through qualifying and beat his opponent in the quarter final in all three rounds. In the semis he was faced with Oskari Raitanen from Finland. Raitanen had so far into the competition looked like a winner, with&nbsp;advanced tricks and&nbsp;perfect landings. But Oscar was determined. Beating Raitanen with a 337 point score, he&nbsp;reached&nbsp;his dream final. In the final he met another 16-year-old Red Bull athlete, Russ Henshaw from Australia. Filled with adrenaline, Scherlin managed to pull a perfect re-run of his semi final, and stomped tricks like a corner mute 540, mute switch 900 and safety 720. 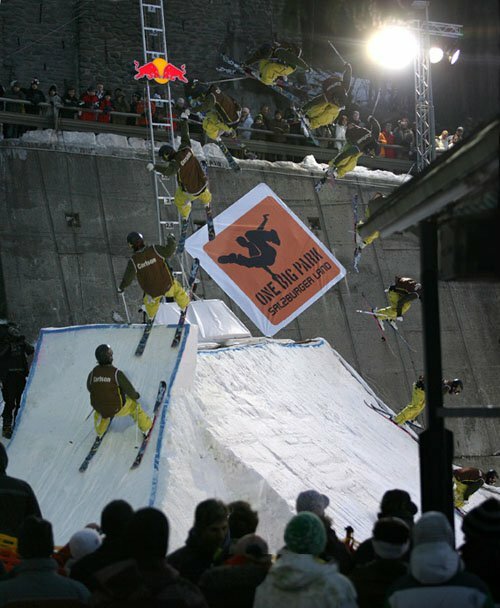 A somewhat sketchy landing off the rails at the finish made everybody grasp for air. Henshaw answered with a very clean, but a bit less&nbsp;difficult repertoire including a misty flip and a great 720 jump from the rails. In the end the victory was given to Oscar Scherlin, who was crowned with the Red Bull Playstreet crown and given&nbsp;the keys to a brand new Suzuki Vitara.